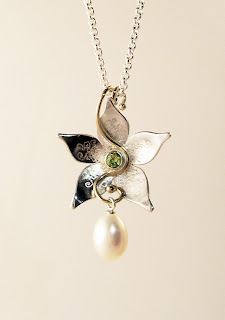 Tales about enchanted jewellery: Jewelry gallery –now with homepage! My gallery has been in office for a month and it has been paramount to me to give it a virtual home too. With the help of my good friend Michael, I have been building and building and now it’s done: http://www.gallericastens.dk/ . Take a look at it and especially the amazing artists who have their work exhibited here too! And haven’t I been working at my bench at all while the homepage came into being? 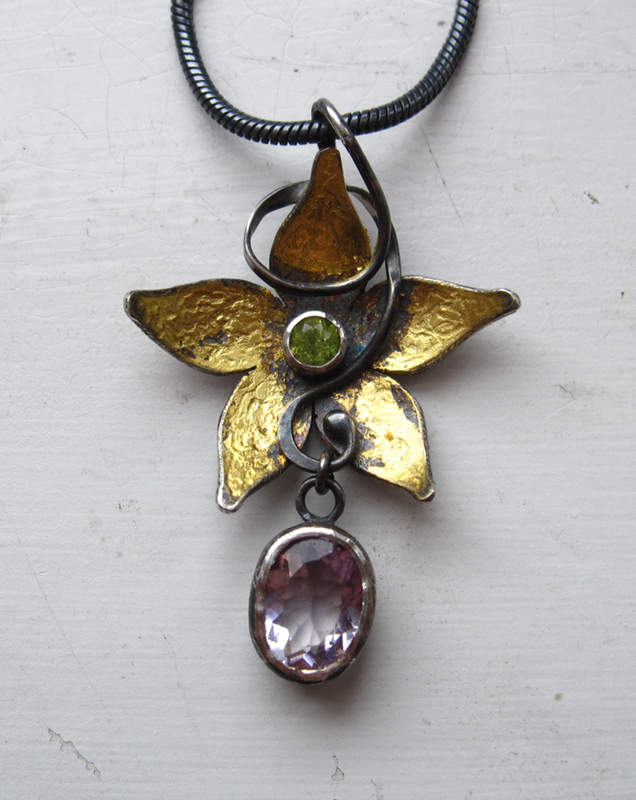 Of cause – I have to ;-) Amongst others I decided to do a light version of an older design – the fairy flower, made of oxidized silver with gold leaf, a peridot and a light amethyst.